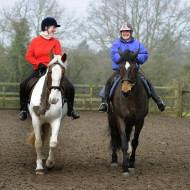 Riding for the Disabled Association (RDA), in partnership the British Equestrian Federation (BEF) has launched Accessibility Mark to encourage more people into the world of horse riding and its therapeutic benefits. Over 50 centres have gained the Accessibility Mark stamp of approval. By applying for Accessibility Mark, the centre will be able to gain training and advice from RDA (in return for a commercial fee) and once RDA are satisfied that the standards are met, the centre will be awarded their endorsement and will become a centre with Accessibility Mark. If you are a centre interested in the Accessibility Mark accreditation then please take a look at the Information & Support Pack on the right hand side which contains lots of information about the project including Centre requirements. Please note: this will appear as a Microsoft Excel download. All Activity Alliance resources can be found on their website here. If you have any questions or queries, please contact National Office at am@rda.org.uk or 01926 492915.